All pieces are hand forged to ensure quality. The words "hand-made" are used very broadly in this post-industrial world. Hammer and tongs, fire and forge, searing white-hot iron....our way is the traditional way, in which each blacksmith takes pride in the fact that his craftsmanship is on the line and only the best work will do. 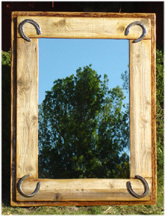 We are pleased to present you with a beautiful collection of hand forged Ironworks. In keeping with our high standards, we bring to you a assortment of exclusive hand forged in the USA iron pieces. Due to the nature of the materials and our works all the dimensions though very close, are approximate. We are constantly creating and improving new ironwork designs, we invite you to keep on checking on us. If you have any questions or prefer to order over the phone please, Call/Text (805)358-4040 or Local (805)445-9400 or Skype: cowboyindian , Fax us at (805)493-5937 or [ Click here to E-Mail us ] We ship all over the world ! Guaranteed Satisfaction. Manufacturer representatives, Trade and Dealers inquiries Welcome.
? Copyright Southwest Country. All rights reserved.